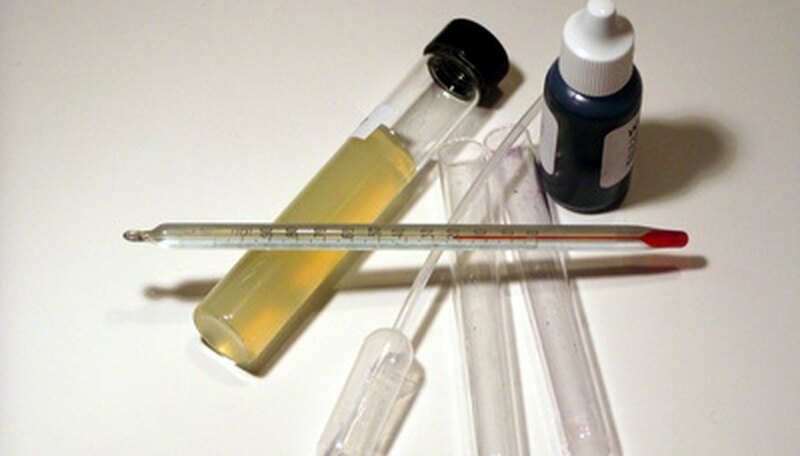 "Titration" is a common laboratory technique used to determine the concentration of one chemical compound or analyte based on its complete reaction with another compound or titrant whose concentration is known. For a strong acid/strong base titration, the "endpoint" indicates the completion of the neutralization reaction. At this point, the amount or volume of each component required to complete the reaction is also known. This information, along with the known concentration and the molar relationship between the two components, is necessary to calculate the endpoint or "equivalence point" concentration of the analyte. shows that 2 moles of the acid react for every 1 mole of the base in the neutralization reaction. List the information that is known regarding the volumes of the titrant and analyte from the titration, and the known concentration of the titrant. For this example, assume that 55 ml of the titrant (base), was required to neutralize 20 ml of the analyte (acid), and that the concentration of the titrant is 0.047 mol/L. Determine the information that must be calculated. In this example, the concentration of the base, Cb = 0.047 mol/L, is known and the concentration of the acid (Ca) must be determined. Convert the milliliter quantities to liters by dividing the volumes given by 1000. Converting milliliters to liters using this "equation" is not necessary but is good practice, as this is a numerical equality expression and not true dimensional analysis. The same numerical value will result as long as both volume quantities are expressed in the same unit. Orr, Sam. "How to Calculate End Point." Sciencing, https://sciencing.com/how-to-calculate-end-point-12396615.html. 25 October 2017.